A multi-unit group supporting Cornell University's institutional diversity planning initiative. Get an email when new posts are made. To unsubscribe from updates, email us. Members of the Cornell University Police Department (CUPD). 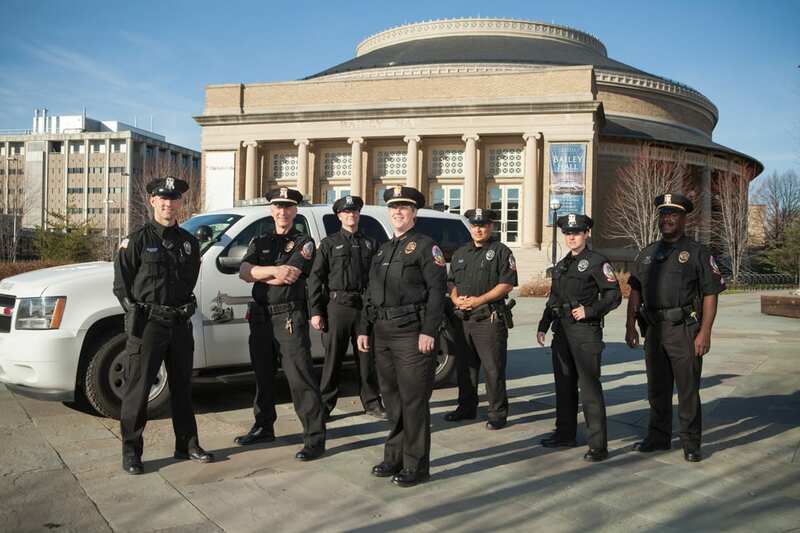 Last fiscal year, Patrol Sergeant Michael Scott of the Cornell University Police Department (CUPD) organized a ride-along program for the Alliance for Diversity and Inclusion (ADI) Diversity of Thought training initiative. The program received overwhelmingly positive feedback from the 12 staff members who participated. The ride-alongs help participants to know the CUPD in a different way with opportunities to ride in a police cruiser and glimpse behind the scenes at the police station. Riders tagged along for about one to two hours, depending on how long they wanted to stay and barring any potential risks. Sgt. Scott explained, “Our officers instructed riders on when to wait and stay in the car. If an elevated risk had arisen, participants would have been asked to leave the car so that the officer could respond to the call.” Officers are always aware of potential risks, he said, and safety is the first consideration. 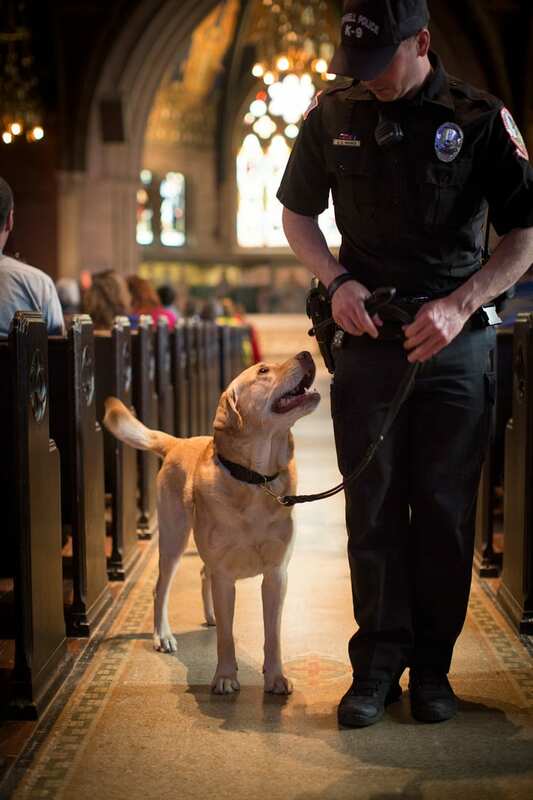 K9 Chase, a yellow Labrador retriever handled by Officer Justin Haines of the Cornell Police. Dan Biechele from Procurement and Payment Services enjoyed his ride with the K9 unit and met Chase, a happy yellow Labrador who sniffs out bombs. Dan said he valued how seriously the officers take their jobs and was surprised to learn that there are around 45 officers in various jobs. “They’re basically taking care of a small city,” said Dan, “if you think about it, they’re responsible for a fairly large footprint.” That’s 745 acres, to be exact. Pat Driscoll in the President’s office was impressed with the control center, “I had no idea of the complexity of the work we don’t see or are even aware of,” she said. Be sure to watch this fiscal year’s ADI training schedule for the CUPD Ride-alongs program. Details will be available later this fall. In the meantime, learn more about the CUPD on their website at www.cupolice.cornell.edu. If you have feedback or questions about this initiative, email us at adi@cornell.edu.